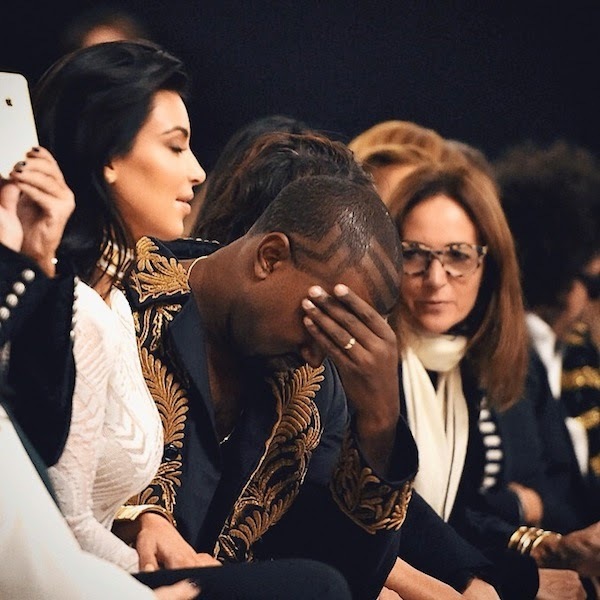 Kim Kardashian West and Kanye West attended the Balmain show as part of the Paris Fashion Week Womenswear Spring Summer 2015 on 25th September 2014 in Paris, France. 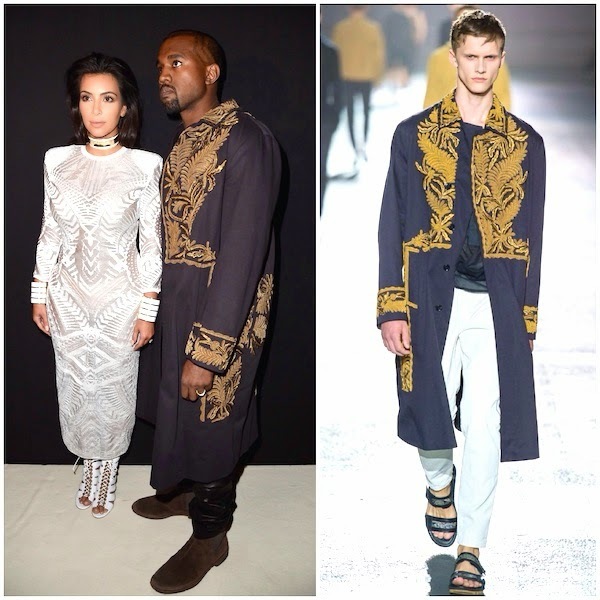 Kanye West wore a regal navy long coat with golden embroidery from Dries Van Noten Spring Summer 2014. Face palm me yes. Perhaps Kanye West picked the heavily embroidered coat to match Kim Kardashian West's equally embroidered Balmain dress. I don't like to be negative, but it doesn't work for me. Let me go lie down and sob for a bit.